The preferred remedy in any unfair competition case is a preliminary injunction to halt, prior to a full trial, customer solicitation or disclosure of confidential business information. Depending on the type of evidence an employer is able to obtain prior to the beginning of discovery, it may be able to make a fairly compelling case for immediate relief. 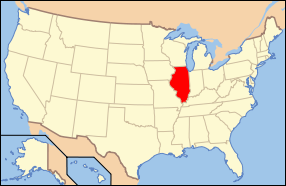 But the law on non-compete claims is exacting, and Illinois remains a fairly pro-employee state - at least in cases where there is an absence of bad faith or blatant customer poaching. If an employer wins at the preliminary injunction stage, but ultimately loses on the merits of the case, what remedy does an employee have. Depending on the breadth of the injunction order, the damages occasioned by the entry of an immediate order can be significant. In Illinois state court, the code of civil procedure speaks to a party's ability to obtain damages or fees when an injunction is dissolved. However, the case law interpreting these code provisions has been somewhat confusing. Previous courts have interpreted the provisions as demanding that the defendant prove an injunction was "wrongfully" issued. A recent case arising out of the Fourth District has helped clarify when a defendant may be able to recover damages and attorneys' fees if an injunction has been reversed. For starters, there is no additional requirement - as some have suggested - that a defendant prove an injunction was "wrongfully" entered. Reversal by the trial court, or appellate court, is enough. The term "wrongful" connotes something more than a finding that the plaintiff's case lacks merit. Simply put, if a plaintiff prevails on a preliminary injunction proceeding, but ultimately cannot back up its case and loses on the merits, the defendant will be given an opportunity to prove and obtain damages caused by the entry of an injunction. In competition cases, this certainly will be measured by lost sales opportunities if a defendant is enjoined from contacting or working with certain customers, and perhaps lost goodwill to the business as a result of the injunction's impact. UPDATE X1: The State-Journal Register in Springfield reports the Plaintiff is appealing this ruling to the Supreme Court of Illinois.